And oh my goodness did I dive in. It’s rare anymore that I get so intrigued by a book that I want to stay up all night reading, but this was one. It was also more terrifying and uncomfortable than anything I’ve read in a long time, but in the way that really good books are. I couldn’t put it down because it was so relevant to so many things I think and feel on a daily basis. 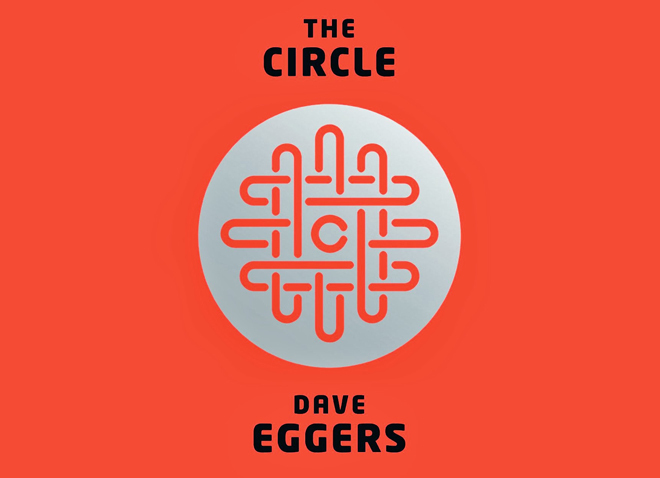 The book follows the main character, Mae, as she enters life at a new job at the Circle, a tech company specializing in EVERYTHING. They count the grains of sand in the Sahara, have vast social media networks and develop systems to stop everything from home break-ins and child abductions to monitoring your health minute-by-minute. To Mae, this company is amazing. It’s everything her previous job wasn’t. She works with top-notch technology, the best and brightest in the world, and has a vast range of services at her disposal. Obviously, things start going awry as the Circle continues expanding their company in ways that, at first glance, can only be good for individuals and society. At its core, this book is about privacy, and every time I logged into Facebook or Instagram while reading it, I felt a little apprehensive. I’ve sometimes wondered in the past about closing my social media accounts, but my job always stops me—my company uses social media to connect to our members, and I simply could not adequately do my job without being at least marginally involved online. However, reading The Circle makes me enjoy the power of choice so much more now—it’s my choice whether or not to share how I’m feeling, what I’m doing and where I’m going. I don’t have cameras watching me, and even if the government is listening to my phone calls (Oh, poor them, listening to me and my sister trade vegan recipes last night. Maybe they will also be adding chia seeds to their grocery list next week. ), I still choose what I do or do not say, to whom I speak and whether or not I would also like to share that with my 10,000 closest friends. If I want to drop off the grid for a few days, go hiking or camping or just sit in my apartment, no one is upset that I didn’t check in every five minutes. However, this book shed light on the fact that sometimes we have a choice when we think we don’t. Case in point: my sister and brother-in-law decided they didn’t want photos of their daughter online for anyone to see. They set up a password-protected blog to share with family and friends, but there are no photos of Moonflower (obviously not her real name), floating around on the Internet. They made a choice that was right for their family. Others questioned it, but it remains their decision. Contrary to mantras at the Circle offices, caring is not always sharing, and secrets are not always lies. The price of privacy is not quite so high. Verdict: go read this book right now.